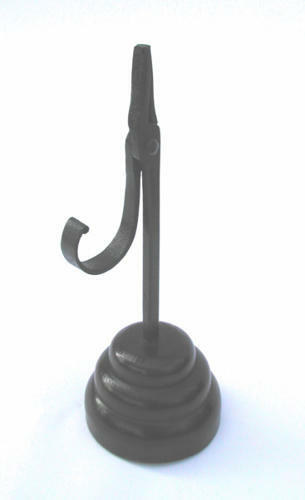 18thc Iron rushlight of pleasing shape on turned Fruitwood Base. Rushlights were commonly used in the 18thc to escape the Candle Tax by coating rushes which had been dried in Tallow & then nipping them in the jaws of these very collectable items. The Base has possibly been replaced, but a very long time ago, as it now has a very good patina and colour. .